According to Indian Institute of Technology (IIT) Madras, the organiser of this year's JEE Advanced, the results of the exam will be declared on June 11. New Delhi: According to Indian Institute of Technology (IIT) Madras, the organiser of this year's JEE Advanced, the results of the exam will be declared on June 11. Joint Entrance Examination (JEE) Advanced is conducted for admission into various undergraduate programmes across IITs. The JEE advanced results will be declared at the official website on Sunday, June 11, 2017, at 10:00 IST. JEE Advanced paper 1 and Paper 2 examination was held on May 21. 1.7 students have registered for the JEE advanced exam for the IIT admissions 2017. A link has been opened in the official website of JEE advanced to check the results. 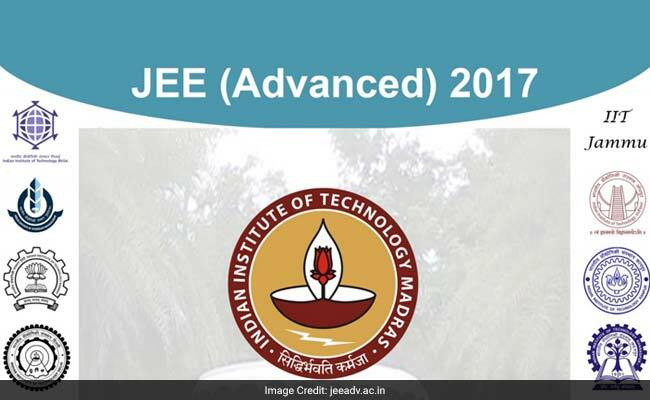 IIT Madras released the JEE Advanced 2017 answer key in the official website on June 4. Category-wise All India Ranks (AIR) of successful candidates will be available on the online portal after the results are declared. The text messages will be sent to the candidates to their registered mobile numbers. According to JEE organisors, individual rank cards will not be sent to candidates. However, qualifying in JEE Advanced (2017), filling up choices and/or participating in the joint seat allocation process do not guarantee a candidate to get admission in IITs. Admission will depend on the availability of seats during various rounds of seat allocation.